The men who have been dubbed as the “selfless six” in media reports all worked for the same company, which has commended them for saving fellow colleagues while putting their own lives at risk. Jeremiah Mbaria, Kelvin Gitonga, Ashford Kuria, Wilfred Kareithi, John Ndiritu and Denis Mwaniki all worked for Cellulant, which is considered to be one of Africa’s most innovative fintech startups. 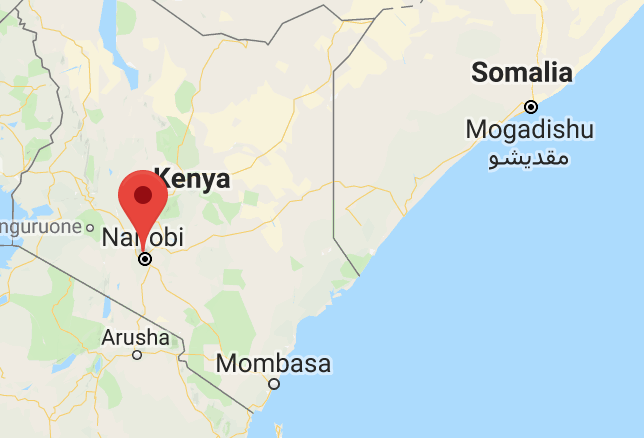 All six of the men were in the company’s office, which is located on the hotel complex, when al-Shabaab militants set off the first explosion at 15:00 local time. Mr Mbaria and Mr Kuria were leading a team meeting at the time and started helping colleagues to evacuate when they heard the explosion. Mr Mwaniki joined them to help staff out of the Cellulant office and the company says they were able to get 83 out of 100 employees out safely before the militants noticed them and their remaining colleagues. The remaining 17 employees split up into two groups, one of which was never discovered by al-Shabaab gunmen. However, a group of six was found hiding under stairs and killed all but one of them. Ashford Kuria had already been shot dead while helping the other group of 11 employees hide while the remaining five men shielded a female employee from the site and gunfire of al-Shabaab militants – the only survivor from the remaining group of six hiding under a set of stairs. Cellulant paid tribute to the six men during a memorial in Nairobi, thanking them for their selfless efforts on the day of the attack and their contributions to the company before the incident.